Markets seem to have shrugged off the Brexit vote, but sterling, however, has not fared so well. UK banks have warned Brexit could cost billions in restructuring. 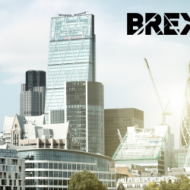 To gauge business sentiment during this unprecedented time, ICAS in association with law firm Brodies LLP, has launched a Brexit Tracker Survey - the fourth survey has been emailed to members, and you have until 5pm on Friday 12 January to submit your response. The UK’s risk premium is higher as a result of this year’s snap election and the Brexit vote, but Europe too is vulnerable. For Tom Walker, what the Brexit turmoil underlines is the risks in taking a narrow UK-only approach when investing. Since the UK vote on leaving the European Union (EU), every scrap of newsflow has been picked over for clues as to the shape of the post-Brexit landscape; whether that is the formation of new trade deals, further controls on immigration, or the outlook for businesses both at home and abroad. Of course, it is difficult to have clear sight of the final outcome, or say with any certainty what impact Brexit will have on UK or indeed EU citizens. We are still at the beginning of a lengthy negotiation process and two years from the formal separation after a 40-year partnership. For investors though, there have been some important signposts along the way: markets appeared to shrug off the vote (despite a short-lived tumble by UK stocks), but sterling, a key barometer since the referendum, has been on a roller coaster, with recent gains only partially paring its post-referendum weakness. Looming over this is, of course, economic data suggesting a weakening of UK growth. For example, retail, already vulnerable to the pressures of competition from e-commerce (in particular from US giant Amazon) and indebted consumers, has been further strained by the vote’s knock-on effects. Sustained sterling weakness has seen costs begin to rise through the supply chain and suppliers, seeking to protect their margins, are sharing the pain with consumers. The Consumer Price Index (which stood at 0.5% year on year in June last year) reached 2.9% in August, far north of the Bank of England’s 2.0% target. The brief spat between Tesco and Unilever, which saw popular products such as Ben & Jerry’s and Marmite taken off the supermarket’s shelves, was a possible omen of what lies ahead, especially if sterling weakens further. UK banks have warned Brexit could translate into billion-pound bills for restructuring. Elsewhere, UK banks have warned Brexit could translate into billion-pound bills for restructuring, while UK property has also suffered, as investors question the level of the housing market post-Brexit, notably in London. Of course, this is by no means the whole picture. Many UK-quoted companies have significant global revenue streams and, as a result of the currency’s weakness, have seen a material boost to sterling returns since the vote. But what of the UK’s European neighbours? For a time, it appeared as if Brexit (followed swiftly by Donald Trump’s US election victory) heralded a period of dominance for populist parties in the political calendar. Europe has been on shaky ground for a number of years and Brexit added a new dimension to the region’s uncertain economic outlook. However, the most recent elections (notably Emmanuel Macron’s victory in France, and perhaps less so Angela Merkel’s re-election in Germany) have delivered market-friendly outcomes and both equities and the euro have had a very good run on improved sentiment. That said, Europe is still vulnerable during the Brexit talks, with the potential for rifts to open through the course of negotiations with the UK. For me, what the Brexit turmoil really underlines is something that is key to my investment philosophy – the inherent risks in taking a narrow UK-only approach when investing. There is naturally a temptation for investors to stay with what they know, but in an increasingly international marketplace, choosing to hug the home market is an arbitrary restriction. A global portfolio consisting of the highest-quality companies, in my view, provides the best chance of navigating such uncertainty over the long run. As an example, there is a dearth of UK-quoted high-growth tech stocks (particularly since the acquisition of chip designer ARM by Japan’s Softbank last year). Indeed, it’s somewhat ironic that our homes are packed with products from all over the world, yet many a UK investment portfolio still displays a significant home bias. And, while some may have lingering fears about currency risk or geopolitics, there is little evidence to suggest this negates the long-term benefits of global diversification. Sure, there will always be winners and losers from the many political and economic surprises which occur, but a global portfolio consisting of the highest-quality companies, in my view, provides the best chance of navigating such uncertainty over the long run.